Professional development used to be simple. In the past, when job descriptions were fixed and technology was slower to evolve, it made sense to keep continuing education efforts within a relatively narrow scope. However, with the increasing pace of market development, expectations for employees are changing. Companies are eager to avoid the “silo effect,” where different departments fail to communicate or understand one another’s work. And with project-based management methods such as agile management gaining in popularity, employees frequently find themselves collaborating directly with different teams across competencies. For tech workers aiming to move outside of their comfort zone and see the big picture, learning new skills is becoming more important than ever. If you’re planning to add a cross-disciplinary skill to your toolset, learning UX is a perfect choice. 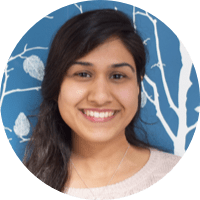 This versatile field is itself made up of a variety of roles, all of which center around “designing products that are useful, easy to use, and delightful to interact with.” The UX mindset is applicable to almost any job in tech. Here are five types of professionals who can benefit from learning UX. As a business analyst, you spend your days thinking about how to optimize processes within your company. UX designers also concentrate on optimizing processes, but their focus is on the end users of the product. So business analysis and UX can be seen as two sides of the same coin. When planning for a new solution, part of your job is to elicit the needs of your users (business stakeholders). Adopting a UX mindset can add greater depth to this part of the business analysis process. You may already be using data gathering tools such as surveys when drawing out stakeholder requirements. But why not go one step further and observe your stakeholders’ challenges firsthand? A contextual inquiry is a structured observation and interview, conducted in order to better understand users’ needs. By watching your colleagues go about their day, you can gain a deeper knowledge of how your intended solution will fit into their job. Before implementing any new solution in the workplace, it is important to verify that it functions as intended. Testing helps to accomplish this. UX professionals perform extensive usability testing before a launch. Learning more about UX is a great way to ensure you are conducting your tests as effectively as possible. You may want to consider observing users performing tasks as they “think out loud” or otherwise record their activities. You can then follow up on any specific pain points or areas of confusion that you notice. Product managers are ultimately responsible for the successful delivery of a product. This requires them to have a global view of many different areas, including how users relate to the product. UX design is intimately connected to product success. An innovative product with lots of potential can ultimately fall flat because of a simple flaw in usability. And often those tiny flaws can be nearly impossible to predict from the beginning without an understanding of UX methodology. When deciding which new products to develop, you could interview potential customers to ask them what they want. But UX design research techniques help you go even deeper than that. Did auto industry pioneer Henry Ford actually ever say this famous quote? Maybe, or maybe not. But the point still stands—when deciding what to build, it’s essential to find out what your customers really need. The trouble is, they might not be able to tell you directly. 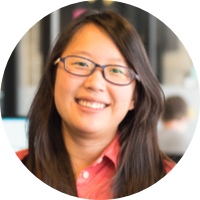 UX strategists have an arsenal of tools (such as competitor reviews, Kano modeling, and contextual inquiries) that help them better understand user needs through analysis, observation, and testing. These insights can be critical during the ideation stage. One of your key tasks as a product manager is deciding which features make the most business sense for your product. 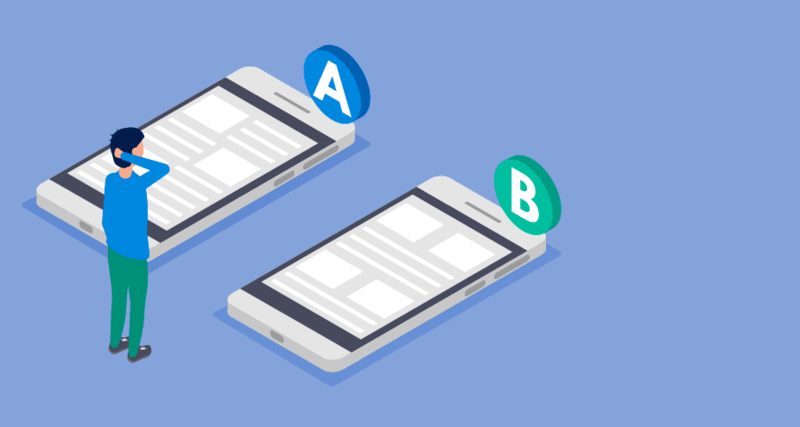 There’s no better way to determine this than through A/B testing. By comparing two different versions of your product to see which one performs better, you will gain a wealth of immensely valuable data. You can then make an informed choice about what to prioritize and which concepts still need work. The UX mindset is all about gathering data to make better decisions at all stages in the product development process. 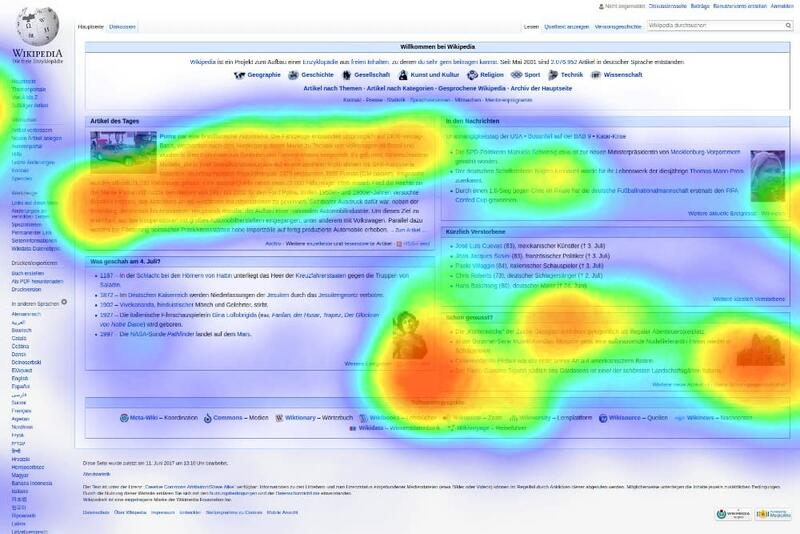 As a content strategist, you already spend most of your day focused on users. Your users are your target audience and your job is to develop content that entices them, entertains them, and soothes their pain points. Personas put a tangible face on your customers, helping to trigger human empathy and giving you a deeper understanding of their needs. A persona is a short profile of a potential customer. They are given a picture and assigned characteristics such as a name, age, lifestyle, and personality traits that help to shape their needs, goals, and aspirations. Creating a persona can give you endless ideas about the kinds of content your fictional profile might find relevant. Got writer’s block? You may already be using SEO to inform your content strategy by performing keyword research. But if you’re asking search engines for content ideas, why not complement that by asking your readers directly? Learning UX can help you craft surveys that effectively elicit users’ pain points, challenges, and needs. 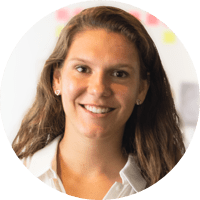 By adopting a UX mindset and identifying issues users may have, you put yourself in the perfect position to answer their questions and resolve their anxieties with helpful, engaging content. Developers spend most of their time deep in the hands-on work of building the product. But at the end of the day, they’re also responsible for making sure it functions as intended. If you’re a developer, an understanding of the UX mindset can help you see the “big picture” of how users will interact with your work. Using some user experience techniques can also make your job easier and prevent problems before they occur. While debugging may not be your favorite part of the job, there’s no question that the product you’re building needs to work. But you’ve already spent ages staring at code—what if you accidentally miss something? By learning more about UX for developers, you can better understand how to conduct usability tests, allowing you to get information about bugs straight from potential users. This effective technique takes the pressure off of you and results in a superior product. Since the users are taking a fresh look at your product, they could discover small issues that you may not have noticed on your own. This allows you to fix technical issues before the launch and save hours of time later on. If you build websites, you probably have heard about wireframing. A wireframe is a visual plan for a website, showing in detail where each element will exist on the page and how they will work together. UX designers make wireframes in order to visualize how users will relate to different elements of the website. 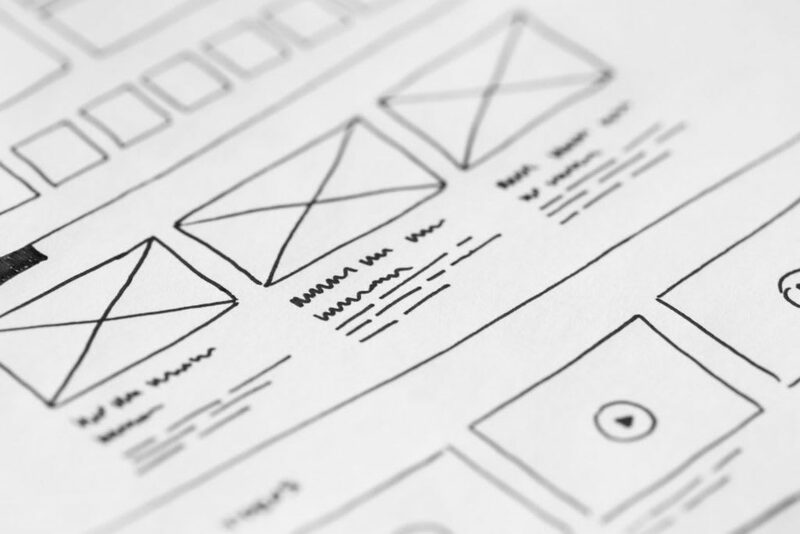 Not only can wireframes help you create more attractive and usable websites, they can also make the development process easier and more efficient. This is because a wireframe is easy to change, add to, and pass around to multiple stakeholders. It is much simpler to modify a wireframe than to have multiple rounds of changes on a finished product. If your organization doesn’t have a dedicated UX specialist, and especially if you also share some design responsibilities, you will definitely want to consider wireframing. While several software packages exist to create sophisticated wireframes, the concept is simple enough that it can be done using only a whiteboard or pencil and paper. The wireframe stage is also an ideal time to point out any features that could be technically challenging to create. Some types of digital marketers, like conversion copywriters, might already be used to thinking from a users’ perspective. 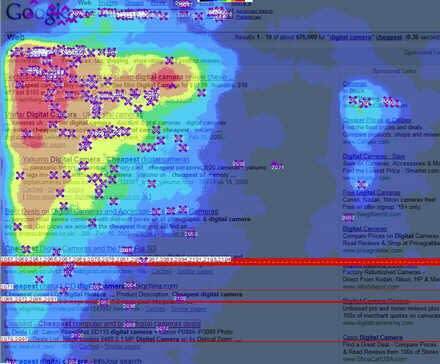 But understanding the UX mindset has become crucial for search engine optimization and pay-per-click specialists, too, since search engine algorithms have increasingly come to favor “user-friendliness” above all else. Regardless of your position in digital marketing, if you want your websites’ landing pages to succeed, rank, and convert, they need to be optimized for human use—so you might have more in common with UX professionals than you think. Ever been met with an inexplicably high bounce rate on a landing page? The bounce rate is losing you sales and might even be killing your rankings, but where exactly did you go wrong? …or maybe they’re simply not scrolling down far enough. Once you’ve identified the problem, you’ll know what to fix to keep users where you want them: on your page, looking at your content. Your landing page is at the top of the search engine results pages, you’re getting tons of hits, and your copy is sharp. So, why aren’t you getting any conversions? The flaw might be in your design. You might think of things like button color as minutiae, but UX designers spend their days studying design psychology, trying to understand how even the subtlest things can affect users. Think of the last time you used a confusing product or service. You just wanted to complete a task (putting an item in your cart on an e-commerce website, for example)… and you couldn’t do it. Perhaps it was because you couldn’t find the right button. Maybe there was a bug on the website. Or maybe the page hierarchy was so confusing that you couldn’t even find the product you wanted. Regardless of the cause, you are now feeling irritated and frustrated. And frustrated users want to do one thing: get away from the source of their frustration. This simple example shows how neglecting to consider user psychology can lead to decreased outcomes in digital marketing. In an increasingly competitive tech environment, becoming a more well-rounded professional can only help you in the long run. Whether your goal is to stand out from the crowd when job searching or to start your own company where you’ll need to have a “big picture” view, gaining extra skills is always a good investment. 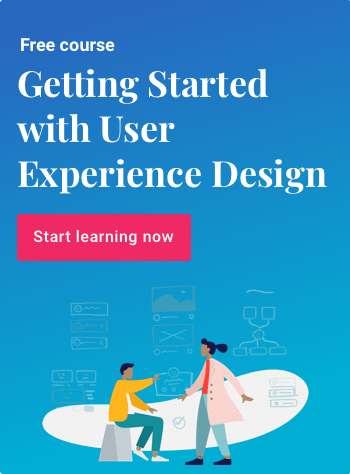 No matter what your job title is, if you work with technology, learning UX basics will help you optimize your day-to-day work and ensure that your projects are successful. Are you ready to take your professional development to the next level? Check out Springboard’s UX Design Course. It’s a self-paced, mentor-led bootcamp that will help you master core UX skills.